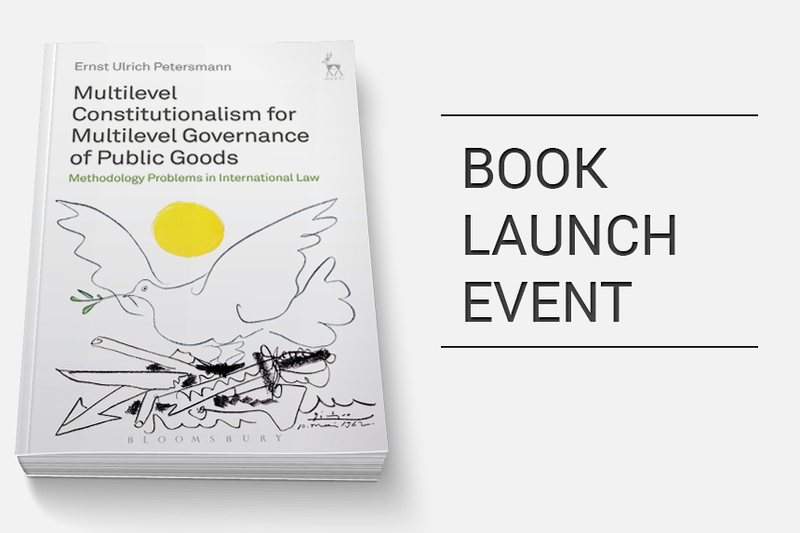 This is the first legal monograph analysing multilevel governance of global ‘aggregate public goods’ (PGs) from the perspective of democractic, republican and cosmopolitan constitutionalism by using historical, legal, political and economic methods. It explains the need for a ‘new philosophy of international law’ in order to protect human rights and PGs more effectively and more legitimately. ‘Constitutional approaches’ are justified by the universal recognition of human rights and by the need to protect ‘human rights’, ‘rule of law’, ‘democracy’ and other ‘principles of justice’ that are used in national, regional and UN legal systems as indeterminate legal concepts. The study describes and criticizes the legal methodology problems of ‘disconnected’ governance in UN, GATT and WTO institutions as well as in certain areas of the external relations of the EU (like transatlantic free trade agreements). Based on 40 years of practical experiences of the author in German, European, UN, GATT and WTO governance institutions and of simultaneous academic teaching, this study develops five propositions for constituting, limiting, regulating and justifying multilevel governance for the benefit of citizens and their constitutional rights as ‘constituent powers’, ‘democratic principals’ and main ‘republican actors’, who must hold multilevel governance institutions and their limited ‘constituted powers’ legally, democratically and judicially more accountable. Ernst-Ulrich Petersmann is emeritus professor and former head of the law department of the European University Institute at Florence (Italy). He combined 40 years of legal practice in German, European, UN, GATT and WTO governance institutions with teaching international and European law at numerous universities in Germany, Switzerland, Italy, the USA as well as in African and Asian countries. He was secretary, member or chairman of numerous GATT/WTO dispute settlement panels and chairman of the International Trade Law Committee of the International Law Association (1999-2014). A Comparison: The Accommodation of Dietary Requirements of Religious Minorities in Prisons in Germany and the U.S.